Do you represent a Montana State Government Agency and wondering how you should archive all your web and social media content? Are you trying to determine what you need to do both from a legal and a technical point of view? Here’s a guide to the different Laws and processes you should follow. What Laws govern Records Management in the State of Montana? The Montana Public Records Act governs open and social media records in the State of Montana. (Montana Public Records Act (Montana Code Annotated, Title 2, Chapter 6)). Do Montana Records Laws include Website and Social Media content? 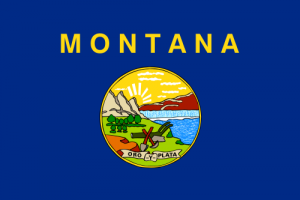 Montana Public Records Act applies to records and communication (unless protected from disclosure by other legal or authoritative measures) made by or concerning; “the sovereign authority, of official bodies and tribunals, public officers, legislative, judicial, and executive, whether of this state, of the United States, of a sister state, or of a foreign country”. In addition to these regulations, Montana Secretary of State’s General Records Retention Schedules states any Montana agency using Social Media platforms must post a disclaimer or statement on the site in question stating that communications from that social networking site are presumed to be public records, and could be disclosed to third parties upon request. How can we transfer website archives made with PageFreezer to the Montana Digital Archives? PageFreezer exports all data on request in the original file format including the required metadata. This data set can be transferred by FTP or by other means to the Montana State or Agency Digital Archives.